THIS is the right way to respond to persecution! What an inspiration! 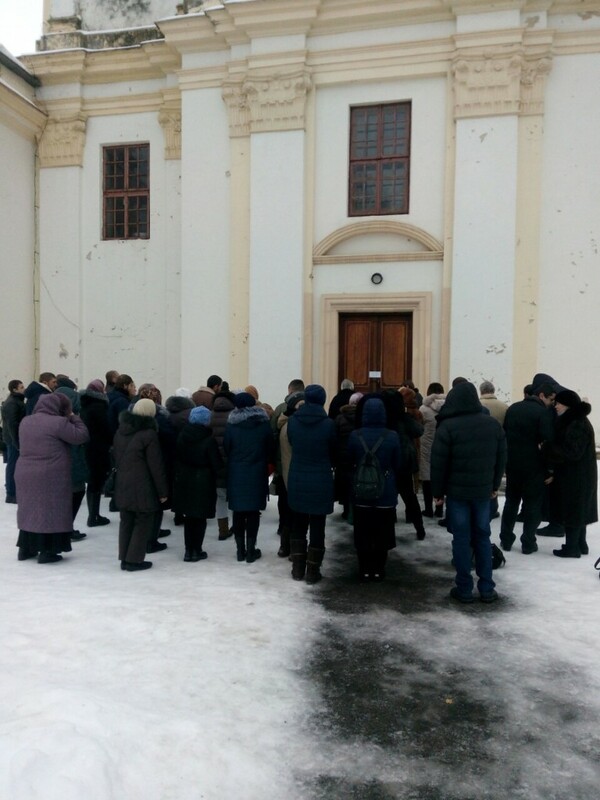 In this video, police guard the church doors, while the congregation meets outside, singing and praying in the open air. 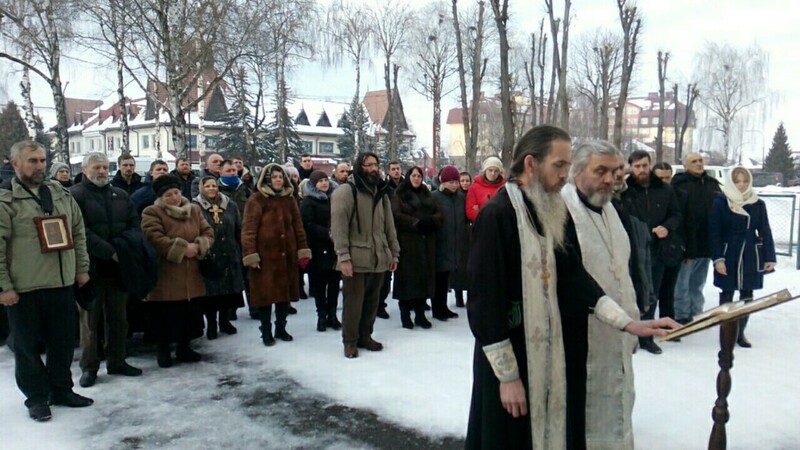 As reported by the Ivano-Frankivsk Diocese of the Ukrainian Orthodox Church (UOC), announcements had been made about so-called "parish community gatherings on religious denomination change". These meetings were supposed to take place at the Palace of Culture on Sunday, February 3, 2019.